101 Dalmatians will be rolling in soot to escape your love of black and white this season! The costume includes a black nylon-poly blend dress with gathers at the chest. The jacket is classic Cruella in red crepe material with Dalmation faux fur trim. Top off the look with the iconic wig and put on your scary face. 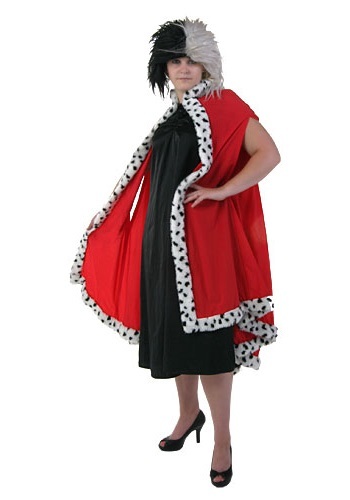 This costume is great with our Dalmatian costumes for a fun group look.